Hen party badges a generous pack of 6 to personalise and one L plate design for the bride to be! Help everybody get along by writing their names on the badges in the space provided. 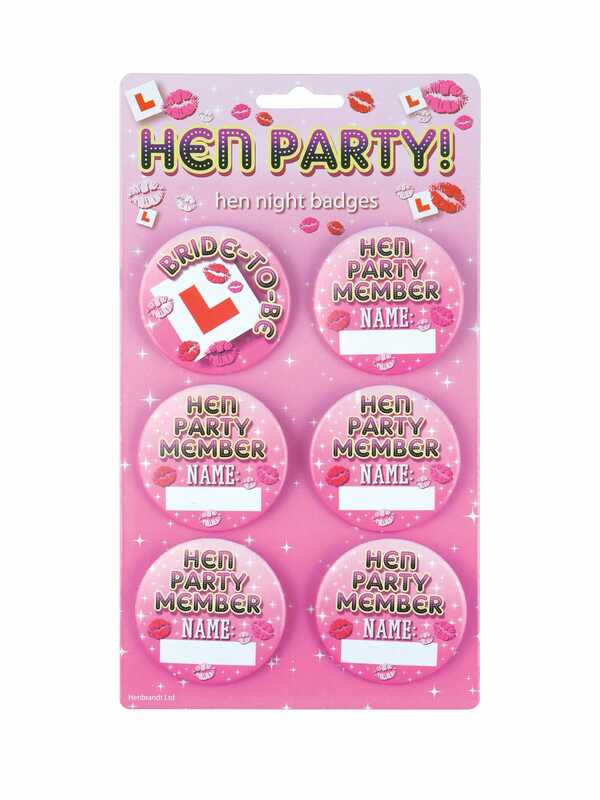 Showing our 2 Hen Party Badges To Personalise x6 Pack reviews with an average rating of Excellent. Would you like to write a review? Great! Simple, fast service. Will definitely use again.